We supply and recommend the Lysaght Living Collections range of products for steel carports and verandahs, patios, pergolas and DIY carport kits. 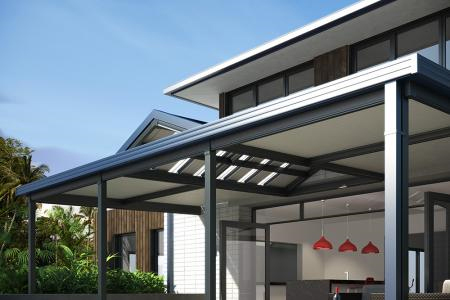 The Lysaght Living Collections Range provides a range of products suitable for all of your outdoor needs, including Carports, Verandahs, Pergolas and Patios. Like their Roofing and Fencing Panels, the Lysaght Living Collections range is a quality designed and tested, Australian Made product, and has a range of styles, colours and profiles suitable for most jobs. 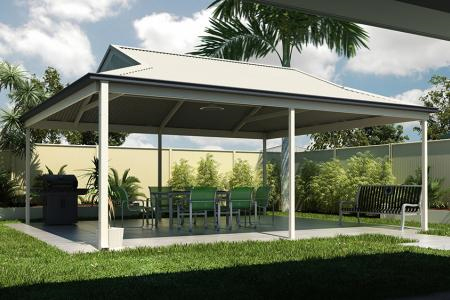 We supply the Lysaght Living Collection Verandah & Patio range. Made with Colorbond Steel roofing and beams, Lysaght Verandahs and Patios are a quality Australian Made product, and will add style and value to your home with a functional and attractive outdoor area. Available in a range of colours and in flat and Pitched roof profile, there is a Lysaght Living Collection solution for most projects. 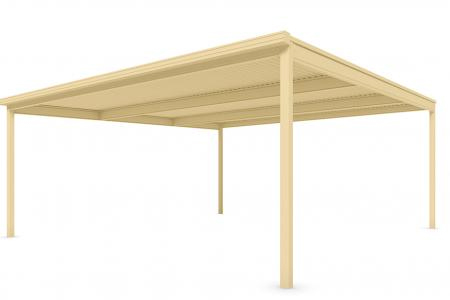 We supply the Lysaght Living Collection Carport range. Like the verandah’s and patios, Lysaght Carports are made with Colorbond Steel roofing and beams. 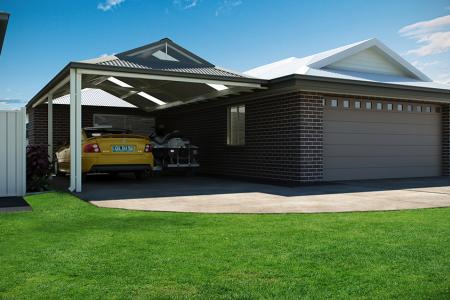 Choose a Lysaght Carport and protect your car from the elements, while adding an attractive feature to your home. Lysaght Carports are available in a range of colours and available in flat and pitched roof options. Would you prefer a DIY Carport option? We supply the Lysaght Carport Kits, aimed at those wanting to complete the project themselves. These Carport kits come in Colorbond or Zincalume Steel, are easy to assemble and maintain, and there are 1 or 2 car options available. While we recommend the Lysaght Living Collection, we can also supply The Fielders Centenary, Stratco Outback, and Victory Verdandahs ranges. Please contact us if you would like further details regarding these products. We recommend Bella Pergola for quality installation of your Verandah, Pergola, Patio or Carport.